After obtaining his Law degree from Complutense University in Madrid, then completed his training by attending the Spanish-USA International business at Harvard University and the Advanced Management Program (APM) at the Business Institute. Fernández took his first steps as an entrepreneur in Palma de Mallorca, where at the age of 21 he launched a currency exchange business with his brothers which eventually became six centers in addition to the 24-hour convenience stores. 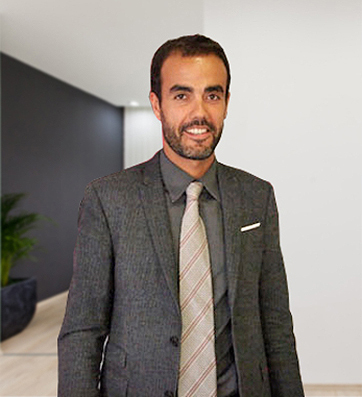 In 1999 he moved to Alicante where he began his activity as a franchisee in the training sector. In 2001 he joined the dental practice at Vitaldent and in 2002 took on the restaurant industry Lizarrán. In that same year Dorsia was created which is currently known as the main label of the group, Le Morne Brabant in 2004 and finally Quick Gold in 2009. In 2006 the family founded the holding company named Otsu which brings together several owned businesses and shares. Manuel Fernández is the president of Otsu since the last quarter of 2010. In 2004, the Fernández brothers received the Young Entrepreneurs Award in Alicante. R. At a time when most sectors and companies were cutting job positions, OTSU maintained its expansion and diversification plans. What is the key to keep growing? I. It is in the most difficult situations that you see the difference on the marketplace. It is then that you can verify who did things properly and who is able to adapt to the situation. In the case of Dorsia, four more clinics were added to the network in 2002. Currently we have 50 clinics, some of them are our own clinics and the rest are franchisees. We believe in the franchise formula as the best way to continue expanding at a national level. R. What are the keys for the company’s success? I. There are many factors but the most important are: passion and tenacity which are closely related to each other. Bet on your own idea and never give up. Core values define who you are and what you are able to do with your efforts and ideas. Begin your project even with few resources and prove that it works. R. The company also incorporated the social responsibility into its business strategy. Can you detail the main lines of action in this area? I. Recently, our most important step was the establishment and launching of Healthy Ways foundation which supports health and training projects. We always try to take the corporate social responsibility at all areas of the organization through environmental actions and respect for the environment. R. What does innovation mean? I. It means that we are committed to our customers to constantly renew ourselves. Innovation is the key to succeed. For instance, Dorsia has its own R and D department which collaborates with several universities, companies and conducts their own market researches. We are not afraid of making a mistake. Paralysis is the worst that can happen to a company.